Gun Violence. Fairfax Grassroots. Moving forward together. Nevada now has universal background checks on gun sales. Washington enacted a gun violence restraining order law. California outlawed ammunition magazines with more 10 rounds, and now requires background checks for bullets purchases, reporting of lost or stolen guns, and provides a process for removing guns from people upon felony convictions. Maine failed to pass universal background checks by the narrowest of margins. The bad news is, despite this exciting progress at the state-level, the general election has left us with a challenging landscape for commonsense gun policy reform going forward. But with 100,000 people injured or killed by guns every year, 20,000 of them children, we just can’t afford to stop fighting. We must continue to speak out against gun violence, search for new tactics and solutions to reduce gun violence, and create new partnerships and alliances among different communities to build the gun safety movement. In the coming weeks, MomsRising members have the following opportunities to recommit to fighting for gun safety. 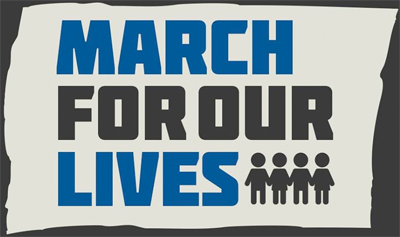 Please join us at any or all of the following events, where we will continue to build our grassroots power and let the gun lobby know: We’re still here! Brady Campaign to Prevent Gun Violence. Cutting gun deaths in half by 2025. Gabby Giffords' Americans for Responsible Solutions "I promise you that if we cannot make our communities safer from gun violence while protecting gun rights with the Congress we have now, I will use every means available to make sure we have a different Congress, one that puts communities’ interests ahead of the gun lobby's." Bloomberg's Everytown for Gun Safety "The NRA spent 30 million dollars to elect Donald Trump, more than any other outside group, and another 25 million to keep the Senate in Republican hands -- and they will expect to get what they paid for." Code Pink. "Wherever there is injustice we'll be there to highlight in bold PINK." 1. Gun control: California, Nevada and Washington tighten firearms regulations, SFGate, Nov. 15, 2016. 2. Do 100,000 people get shot every year in U.S.? Facebook post says yes Politifact, Jul. 23, 2012. 3. More Kids Suffer Firearm Injuries Than Researchers Previously Believed, Study Finds, ABCNews, Oct. 11, 2011. 4. "Sandy Hook shooting: What happened?" CNN.com. 6. "This Is the Deadliest Year for Mass Shootings in Modern U.S. History," November 6, 2017, Time.com.